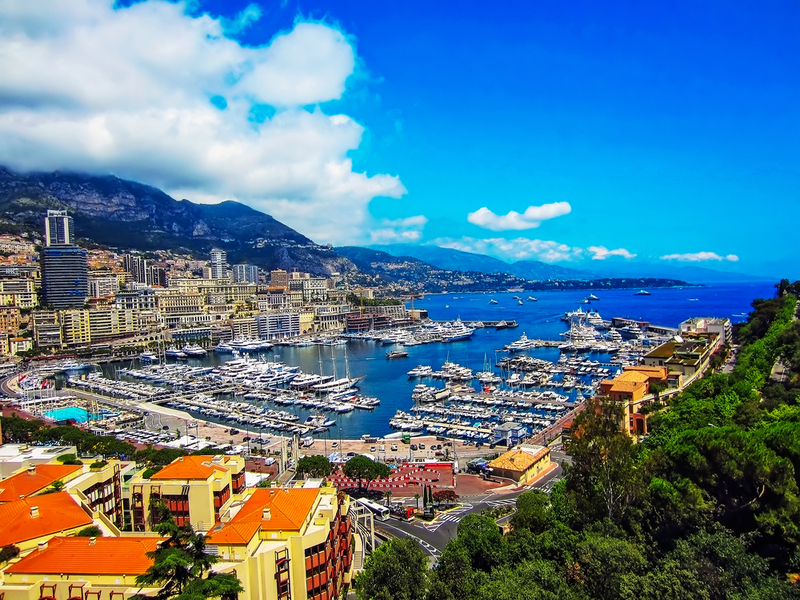 What Monaco lacks in size it makes up for with glamour and thrills and an opening day in the Principality sets the tone for an unforgettable yacht charter in Italy. Full of experiences to delight yacht charter guests of all ages, we recommend the vivid underwater world of the Oceanographic Museum or an afternoon of indulgence at one of Monaco’s award-winning luxury spas, followed by a stroll around Casino square and a sunset aperitif at the new Yacht Club de Monaco. Whether you ask the crew to reserve a table at one of Monaco’s many upscale dining establishments or enjoy a meal under the stars prepared by your yacht chef, there’s only one place to see in the new day: Jimmy’z, the legendary Côte d’Azur nightspot. The coastal province of Liguria, also known as the Italian Riviera, offers charm in abundance. From the rustic tradition of family-run agriturismos where course after course of local dishes are enjoyed fresh out of the oven, to the sweeping beaches and symmetrical sun loungers of seaside towns like Alassio, authentic holiday experiences are everywhere you look. 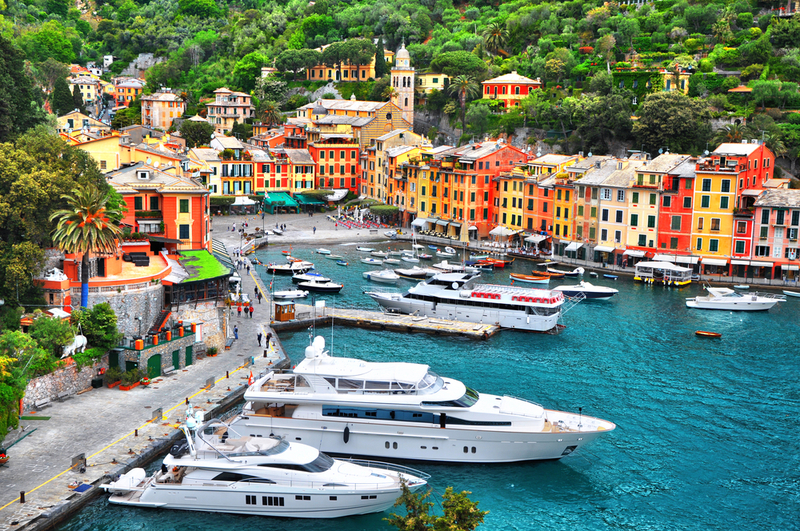 But there’s nothing more emblematic of Liguria than Portofino and it is to the pretty pastel-coloured waterfront that the superyacht set flocks. This classic Italian yacht charter destination comes alive in summer. After browsing the designer boutiques that line the water’s edge, order an Aperol Spritz at one of the seafront cafés and soak up the seasonal buzz. Or ask the crew to book a spa session at the exclusive Hotel Splendido, with its sweeping views towards the coast. Today’s Italy charter yacht itinerary delivers one unforgettable highlight after another. As the Captain gets underway and you leave the picturesque Portofino behind you, cross the Gulf of Tiguillo towards Cinque Terre. 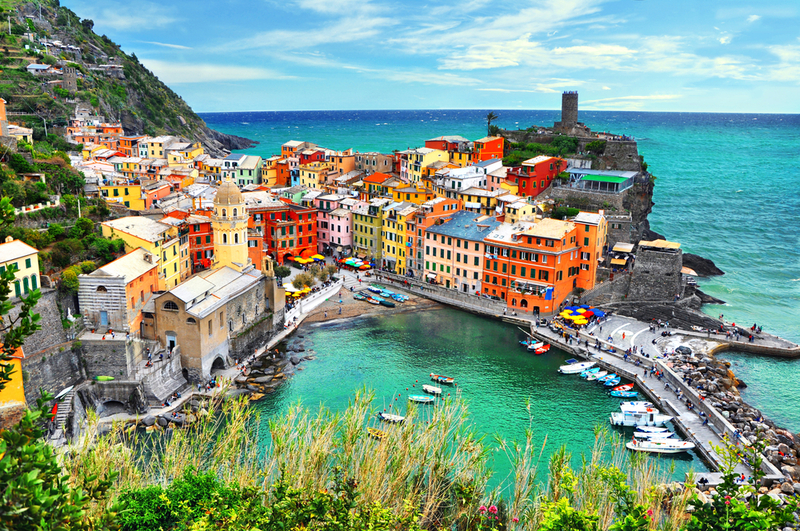 The villages of Riomaggiore, Vernazza, Monterosso al Mare, Manarola and the hilltop Corniglia have graced many a postcard and at first glance, you’ll understand exactly why. Head into nature along the coastal paths that link the villages. You’ll pass vertiginous vineyards that produce a high-quality local wine. Or drop anchor in one of the rocky bays only accessible by water to feast on freshly-caught fish, provisioned by your yacht chef that very morning. Your yacht Captain may suggest an afternoon at anchor off the pretty fishing village of Portovenere, near where Liguria meets Tuscany. Here, the calm waters surrounding the unspoilt island of Palmaria are best enjoyed with a snorkel in hand. A morning spent sailing south towards the island of Elba offers the perfect chance to make use of the facilities on board your charter yacht. Perhaps a quick workout with a view in the gym? Or a reinvigorating Jacuzzi as you watch the Italian coastline sweep past from your top deck vantage point? 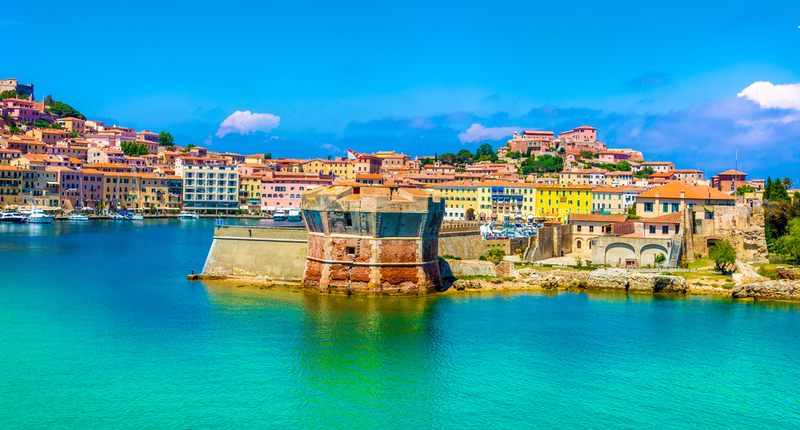 A slice of the exotic off the coast of Tuscany, Elba offers a chance to unwind, away from distraction. Calm and peaceful, its translucent waters, white sandy beaches and sublime, untouched wilderness make it a must-visit destination on your Italian yacht charter. Choose from an afternoon exploring the cultural highlights of Portoferraio, the capital, to an active itinerary of windsurfing, scuba-diving or mountain biking. As the sun sets, the crew surprise you with an intimate beach barbeque. A swim or Jetski in the calm and secluded waters of Acquavivetta, one of Elba’s best beaches, followed by a freshly-cooked breakfast served on the aft-deck are the perfect recipe to start today’s Italian yacht charter itinerary. As you sail towards the Eternal City, you’ll pass the Isola di Montecristo. Made famous by Alexandre Dumas’ classic novel The Count of Monte Cristo, the sight of the island as it rises dramatically out of the sea is breath-taking. A permit must be attained in advance to visit it, however. Today’s destination needs no introduction, but you’ll want to ensure maximum time onshore to take in a highlight reel of the finest sights in the world. 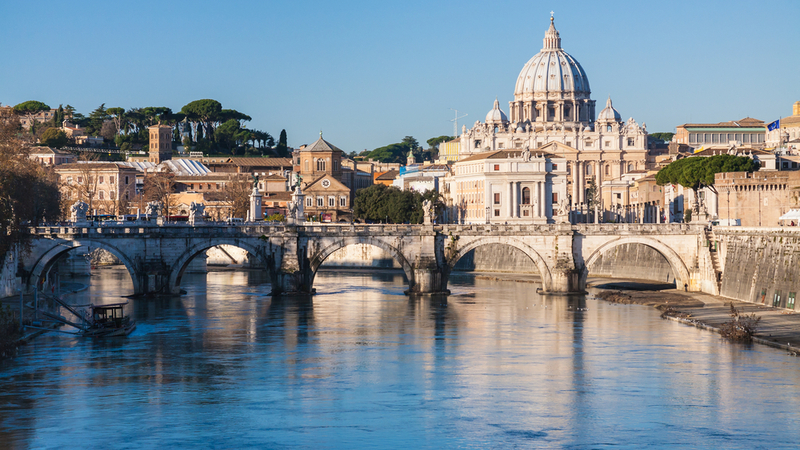 From the Colosseum to the Roman Forum, Pantheon and Vatican City, you’ll leave Rome wanting more. How do you top Rome? 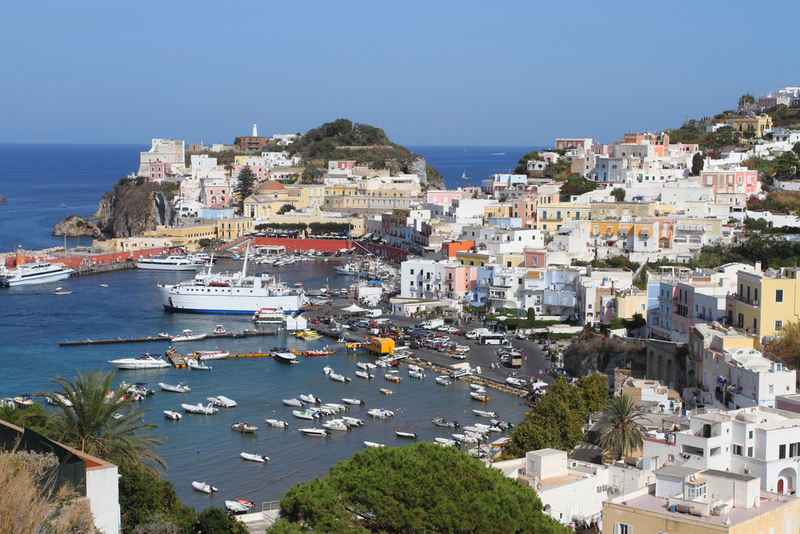 We’re not sure if it’s possible but we think Ponza is the perfect recovery destination. This is the secret island where in-the-know Romans escape to every summer, along with Hollywood VIPs searching out a low-key holiday lifestyle. If you’ve worked up an appetite swimming in the majestic Chiaia di Luna bay, we’d suggest lunch at the cliff-top Restaurante Il Tramonto with its spectacular view of the Pontine archipelago. Off the coast of Naples, the volcanic island of Ischia will beguile you and is this evening’s destination. The picture-perfect harbour of Sant’Angelo will inspire you to delve further into the island’s verdant interior, much of it covered by vineyards. Before sampling some of Ischia’s lively nightlight, why not rejuvenate at one of the islands famous thermal spas? 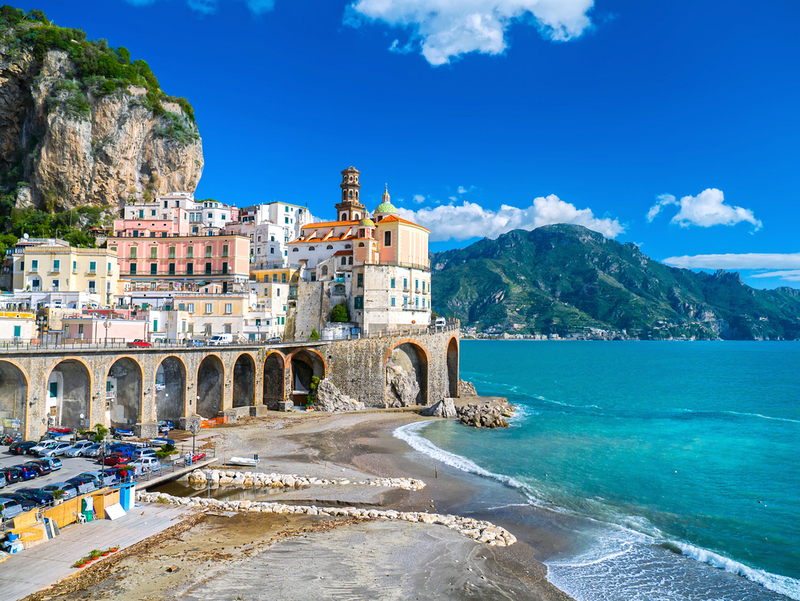 South of Naples, the sparkling Amalfi Coast is a veritable showreel of incredible Italian yacht charter highlights. Ravello, set more than 350 metres above sea level, is an artist’s wonderland of Moorish villas and manicured gardens. The view high above the Tyrrhenian Sea will take your breath away. Drop down the coast to Sorrento, a coastal resort and explore the vertiginous alleyways that lead away from its charming harbour. Before you depart for an excursion to the Roman ruins of Pompeii, in the shadow of Mount Vesuvius, the photogenic fishing village of Positano beckons. Sail towards the stunning island of Capri under the setting sun. 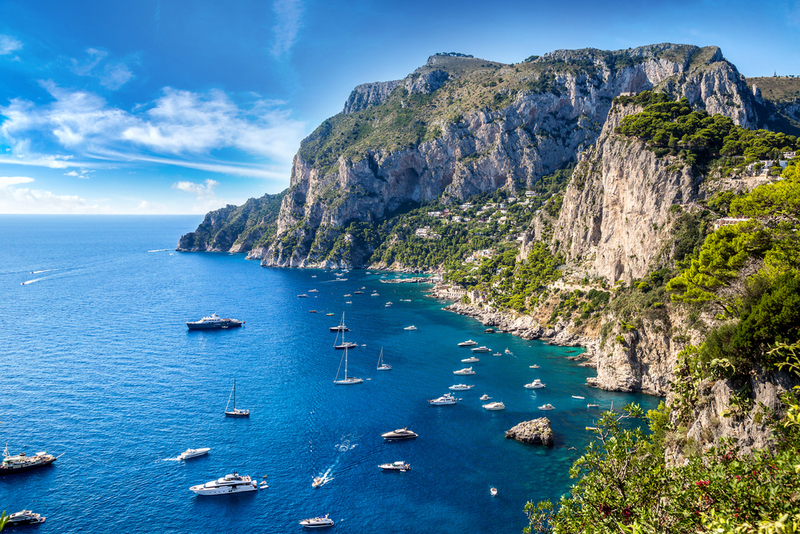 The glamourous island of Capri has been captivating holidaymakers since the Roman Empire and a jet-set crowd continue to be drawn to the island, attracted by its blend of luxury amenities and authentic charm. You’ll feel like you’ve stepped back to another era as you stroll along the charming pedestrianised alleyways of Capri town, before stopping for a coffee and a stop of people watching in La Piazetta. In the height of summer, the island’s main port Marina Grande can be overrun by yachts, so escape down the coast and claim a secluded cove for a final morning of swimming, sunbathing and enjoying the yacht’s toys. As you prepare to leave for Naples, the Blue Grotto is a recommended diversion. With Naples, and the end of an incredible Italian yacht charter, in sight, your Captain will book a table for one final Italian experience: authentic Neapolitan pizza.